The weather is a bit fickle this year.. Does it want to rain? How about freezing temps one morning then warm enough for short sleeves the next? Let me not complain though, because I'm seeing winter wonderland pictures via Instagram that make me cringe. Y'all can keep the snow and I'll stick with the bizarre weather we're having down south. Because one drop of snow or ice here will cause widespread panic and highway apocalyptic scenes of disaster. No Thank You! We celebrate Christmas with fervor. The tree and decorations go up right after Thanksgiving and I might of started buying presents in July. My house is the gathering point for family, which fills me with happiness and anxiety in the same breath. Luckily, I have a fully stocked liquor cabinet endless amounts of patience. While we do have a large dinner the day of Christmas, as a tradition, there is always several breakfast/brunch situations that happen during the holidays also. Mainly because by the time everyone is up and about and ready for breakfast, it's getting close to lunch time-if not pushing into the hours of dinner. So brunch style fare is on deck each year and I'm going to share some of the most requested menu items that I serve each year for the month of December. At least that's the plan. We'll start with Booze, I mean Bananas, I mean Buttermilk.. I mean all three.. Cake for breakfast all day err day.. this is completely acceptable. Directions: Preheat oven to 350. 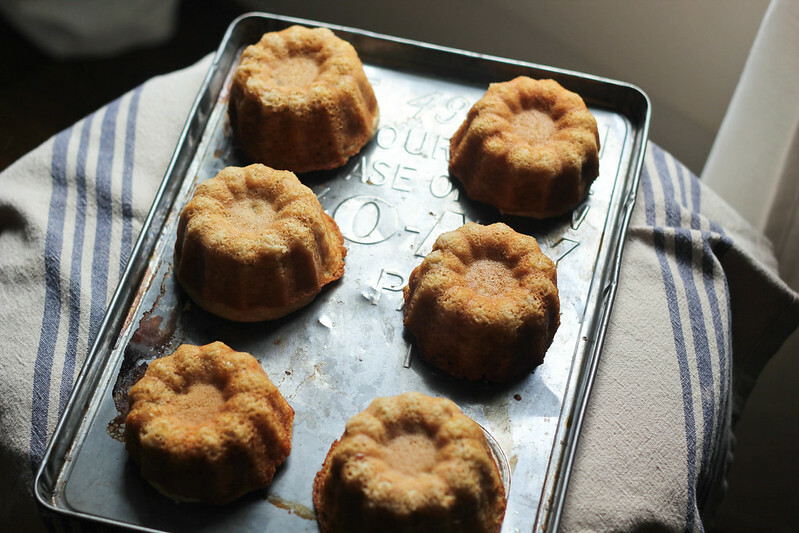 Generously grease with butter or cooking spray a mini bundt pan In a large bowl whisk together the flour, baking powder, baking soda, salt, cinnamon, and nutmeg. In a separate bowl, whisk together the egg, brown sugar, bananas, buttermilk, and liqueur. Add the flour mixture to the banana mixture, stirring until moistened. Be careful not to over mix. 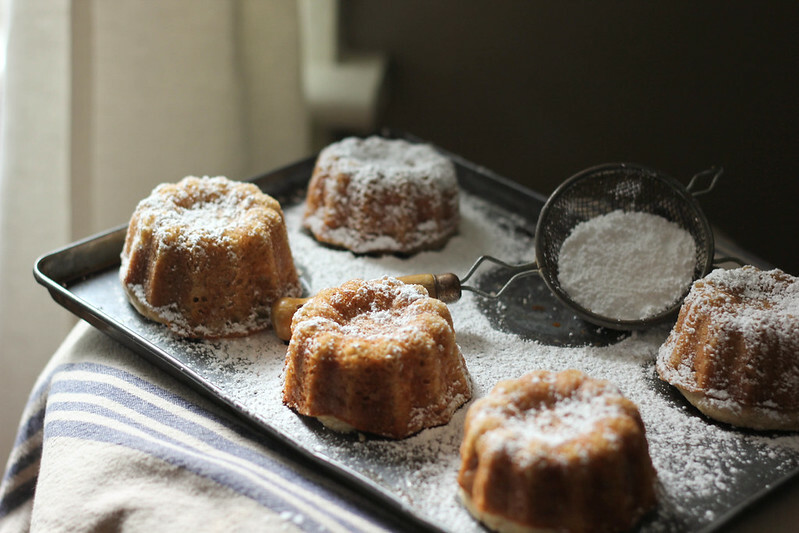 The batter will be slightly lumpy, this is ok. Divide the batter among the six bundt "cups" on the pan; the batter should come to within ½ inch of the rims of the pan. (If you fill these to the top it will create a doom on each that you'll have to slice off in order for the cakes to sit "flat side" down) Bake cakes at 350 for 15-20, until a toothpick inserted comes out clean. 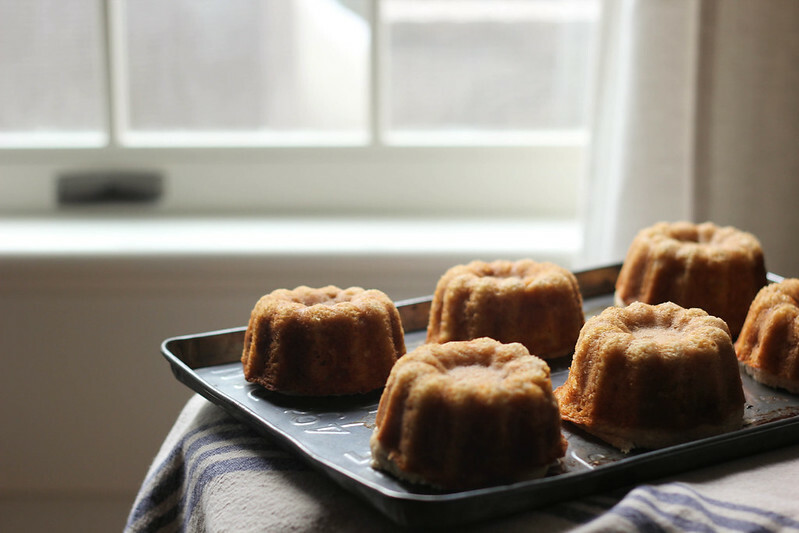 Allow cakes to cool in pan completely before "unmolding". Do this by turning the cakes over onto a wire rack. 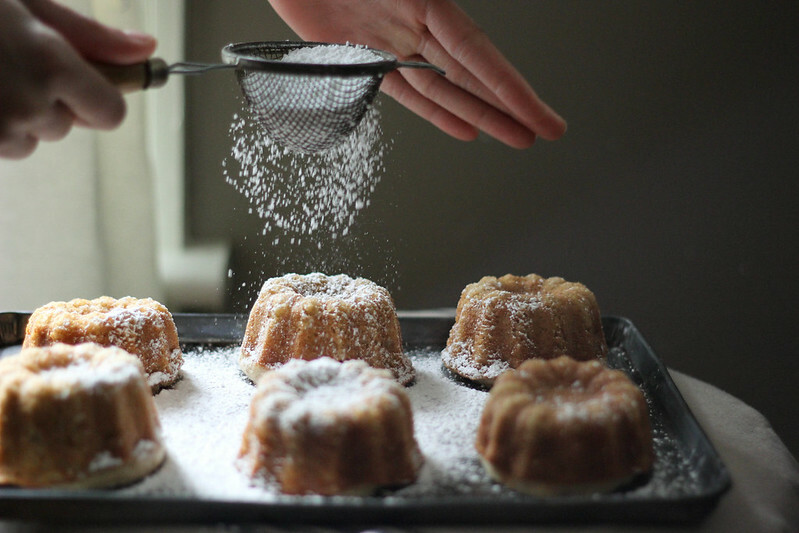 Serve with powdered sugar sprinkled on top- this is optional. Sweet Potato Chorizo Cornbread Stuffing.... Thankful?